Now for this week we are really getting into Christmas. I’m not going to be as prescriptive as I might be so don’t grumble! I want to to choose a favourite carol and re-write it with the theme of a Christmas Dinner. You have to tell your readers which carol it is and they have to be able to sing your version back to themselves. That means the right tempo and beat. 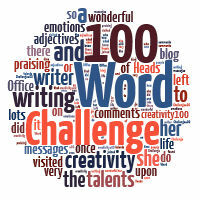 You may not need 100 words but I’ll give you that many just in case! Generous aren’t I?!! For those of you who have stumbled here unknowing what is going on, do read THIS which hopefully will make it clearer. If it doesn’t leave me a comment below and I’ll get right back to you! The link will be open until midnight 19th December. Let’s get singing! Click here to enter your link. You will be taken to another page but I will transfer your links if you tweet me or leave a comment when you have posted! Brussel Sprouts – by request! This was a lot of fun and a bit of a challenge! Enjoyed immensely! What a neat challenge, the re-written carols are superb! I’ll be back – I love that you do this! Because you have caught my fancy, I also tagged you in an award post – The Versatile Blogger award is yours for the accepting at http://mylifeincontradictions.blogspot.com/2011/12/my-turn-to-award-it-forward.html. Acceptance speech optional! Hello Julia, I’ve had a go and linked up, see what you think (I’m number 23). I had a bit of a giggle when I looked at others. I never read other entries before submitting mine but maybe I should have this week? How many of us did a cooking trauma experience?? I think I may try this one! Have a good holiday celebration! Julia, your link to the instructions isn’t there, and I know there are a couple of new people joining the carolers this week.